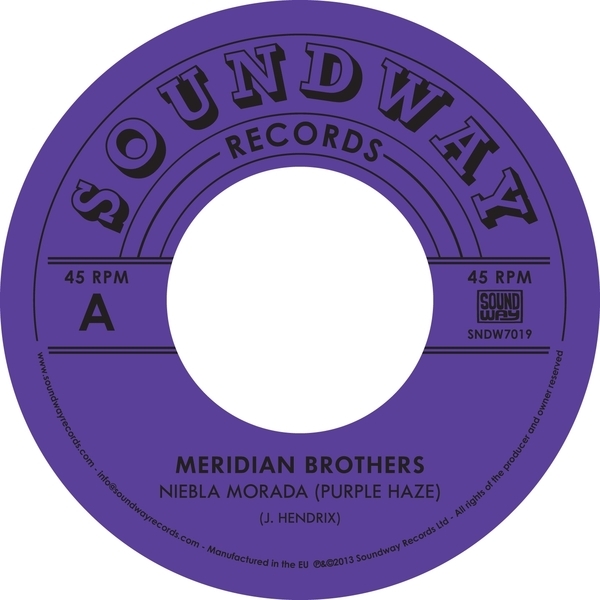 **Bonkers little Mexican champeta version of 'Purple Haze' - sounds like Bruce Haack on holiday** "Meridian Brothers return with a brand new single that features an off-kilter, champeta version of Jimi Hendrix’s classic track ‘Purple Haze’. Straddling the line between new and old, Meridian Brothers’ mischievous blend of Latin rhythms and psychedelic grooves is the creation of Eblis Álvarez, one of the key figures of the experimental music scene in Bogota. 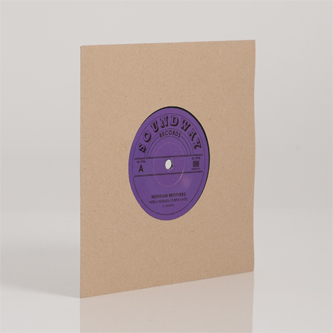 In September 2012 Soundway Records released his album ‘Desperanza’ that features ‘Guaracha U.F.O’, selected by Gilles Peterson as his #1 track of 2012. With ‘Niebla Morada (Purple Haze)’ Eblis set about making a ‘refrito’, a Mexican way to reproduce the famous rock songs of the 60s for non-English speakers that spread throughout Latin America over the next decade. Using a champeta rhythm instead of the original, Meridian Brothers pull ‘Purple Haze’ into a world of Peruvian influenced chicha guitar sounds, distorted vocals and electronics. ‘Juego Traicion’ on the b-side pulls together more disparate elements for a fast-paced cumbión; 80’s video game-style synth riffs bounce along on top of the cumbia rhythm section, while Eblis invokes the singing style of the great vallenato kings like Alejandro Durán and Enrique Diaz. The abstract lyrics tell the tale of an imaginary video game addict as he travels around the surreal musical world that Meridian Brothers have created."